Musings Inspired by Losing: watr is hOOEninv? I got drunk the other day. I say day because it was definitely day and not night. 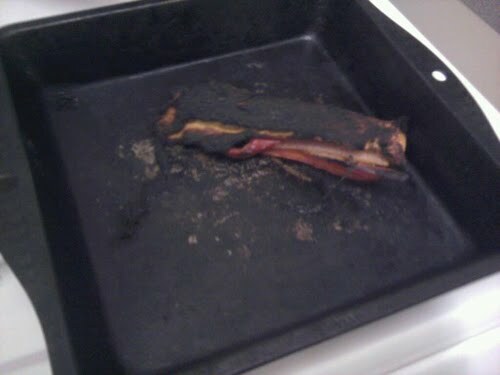 Not that getting drunk is out of the ordinary for me but it was the kind of drunk where you stagger home, pass out dribbling on the sofa at half past 8 then wake up just before your flat sets on fire because you decided to heat up an enchilada under the grill before you passed out. Here is my dinner. Yes, I ate it.